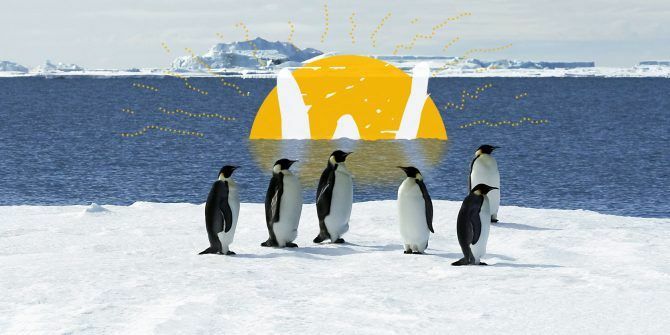 You might have heard about Wayland How To Try Wayland, A New Display Server For Linux How To Try Wayland, A New Display Server For Linux Linux distributions will soon get a new display server called Wayland. Let's take a look at Wayland, and see how you can try it out right now. Read More , a new(ish) protocol that aims to replace the Xorg display server in the distant future. If you’re thinking this won’t affect you, think again — Fedora 25 and above Fedora 25 Has Arrived: Here's What's Changed Fedora 25 Has Arrived: Here's What's Changed Fedora 25 delivers the latest from the GNOME project, but what's the story with the new display server, Wayland? Is the next generation display server really ready for prime time? Read More uses it by default. Clearly, it’s something that’s here to stay and will grow. The fact you can use it now is proof of that. But if you want to test out the future, you’ll need to keep some things in mind. Put shortly, it’s a protocol which tells your programs how they should appear to you, depending on your actions. For example, moving a window around, or clicking a button. Technically, it’s not a replacement for the Xorg server by itself — Wayland only defines the way in which such a display server should talk to those applications. Instead, it relies on a third party to provide this display server, called a Wayland compositor. This is what takes the role of the Xorg server. An example of this is KWin, of the KDE Plasma Desktop KDE Explained: A Look at Linux's Most Configurable Desktop Interface KDE Explained: A Look at Linux's Most Configurable Desktop Interface What does Linux look like? Sometimes, Unity; other times, GNOME. Oftentimes, though, Linux runs KDE. If you're not using the erstwhile K Desktop Environment on your Linux PC, now is the time to change! Read More . What Wayland does is attempt to simplify display server communications, making future development easier and faster. But like many future technologies, it has some teething to work through. The Xorg server has been around for a long time, and itself has been steadily built on. That also means that Wayland has some catching up to do (along with the display servers which implement it). But for now, there are many things you can do to make testing it out much smoother. Linux is quite unique in that it has no real de facto GUI toolkit (compared to Windows or macOS for example). 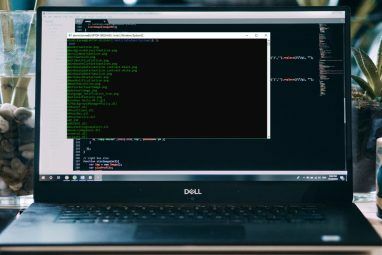 These toolkits are pieces of software (frameworks) which make it easier to create GUIs (graphical user interfaces Grsync - A Simple GUI to Help You Use 'rsync' Easily [Linux] Grsync - A Simple GUI to Help You Use 'rsync' Easily [Linux] Read More ) for programs. Major ones on Linux include GTK+ and Qt. Basically, the programs you interact with day to day are written in these frameworks. They act as clients to your display server, asking for things to be drawn onto your screen. However, these requests need to be understood first, and that’s up to the toolkit to do. As such, only some types of programs can actually run in Wayland — those which know how to speak it. For example, those written in Qt 5 (the toolkit the Plasma desktop The Current State Of the New Linux Desktop Environment, Plasma 5 The Current State Of the New Linux Desktop Environment, Plasma 5 After years of polishing the 4.x series, KDE is once again leading the innovation race among Linux desktop environments with its latest product: Plasma 5. Read More is based off), will be able to run properly. GTK+ 3 programs also can run natively. That being said, if you do try to open, say, a Qt 4 application, you’ll have a fair chance of it running. Wayland does this by running the Xorg server behind the scenes, to listen to the apps which it can’t understand. However, this can lead to higher memory usage Does Linux Use Less RAM Than Windows? Does Linux Use Less RAM Than Windows? It depends. 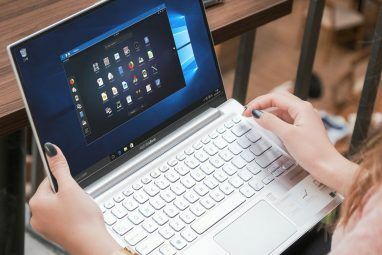 Windows and Linux may not use RAM in exactly the same way, but they are ultimately doing the same thing. So which one uses less RAM? Read More , and slightly lower speeds. Plus, there are some things that it just can’t do at the moment. The Xorg server, having years of work built onto it, is full featured. It was designed to be very extendable, allowing it to grow over the years. As such, there are some things which Wayland can’t do for programs yet (and so are reliant on Xorg). For example, a common issue being cited about Wayland is that Redshift Redshift Keeps Your Eyes Sharp & Helps You Sleep [Linux] Redshift Keeps Your Eyes Sharp & Helps You Sleep [Linux] Read More doesn’t work on it. Redshift is a program designed to filter blue light from your monitor, in the same vein as F.lux or Night Shift Can F.lux and Night Shift Really Improve Your Sleep Habits? Can F.lux and Night Shift Really Improve Your Sleep Habits? Excessive use of computers, tablets, and smartphones can lead to deteriorated sleep quality -- but do apps like F.lux and Night Shift really counteract those effects? The science is pretty clear on this. Read More . The main reason it doesn’t work is because it relies on one of Xorg’s extensions: RandR. It provides programs with an easy way of asking Xorg to change your screen’s display. While Wayland provides the means to recreate this ability somewhat, it’s reliant on each Wayland compositor to actually implement it. This means that while one desktop environment Which Linux Desktop Environment Best Suits Your Personality? Which Linux Desktop Environment Best Suits Your Personality? What kind of computer user are you? Do you leave icons scattered across your desktop? Do you prefer to work in one uncluttered application? Let's find out which Linux desktop environment suits you best. Read More might support something like Redshift, there’s no guarantee it will work elsewhere. In the future, Wayland will likely be properly supported. The GNOME desktop Changing Linux GNOME Desktop Fonts Is Easier Than You Think Changing Linux GNOME Desktop Fonts Is Easier Than You Think The GNOME desktop is easy to customize, but one thing people often overlook is the font. Fortunately there's a way to change GNOME Shell fonts, without editing files or using the terminal. Read More for example has now implemented the ability to change your screen temperature. But there’s still a way to go. Compositing is a technique which helps to prevent screen tearing and artifacts. This is done by keeping copies of your display in memory, usually with the help of your graphics card Should You Use AMD or NVIDIA GPUs on Linux? Should You Use AMD or NVIDIA GPUs on Linux? Looking for a fast graphics card? You have two main options: AMD and Nvidia. But getting the most from them with Linux drivers can be challenging. Should you choose proprietary drivers or open source? Read More . This way, even if applications stop responding, your display server will still have something to work with. Along with this, it also lets you have things like window animations and shadows Enjoy Great Desktop Effects With Compiz Fusion [Linux] Enjoy Great Desktop Effects With Compiz Fusion [Linux] Some people just want to use something that looks really pretty. On the other hand, there are some geeks who want to trick out their systems with the same effects to make a truly interesting... Read More . Wayland is designed to make this process much more efficient than Xorg by making it compulsory. Xorg has compositing as an optional feature, through an extension called Xcomposite. But because of how it’s implemented, it takes a little more time compared to Wayland. That being said, this can lead to some problems. Compositing results in slightly lower performance of programs such as games Linux Gaming, an Overview: What You Can And Can't Expect Linux Gaming, an Overview: What You Can And Can't Expect While desktop Linux may be a tempting platform, there's one thing stopping a lot of people from making the plunge: PC gaming. Like it or not, Windows is the de facto platform for PC gaming.... Read More . So back in Xorg, most desktops turn this off when an app goes full-screen, solving that problem. But many Wayland compositors still need to implement this. If you’re interested in using graphics intensive programs under it, this is quite important to keep in mind. More specifically, if you’re using Nvidia’s proprietary graphics driver How to Install Proprietary Graphics Drivers in Ubuntu, Fedora, and Mint How to Install Proprietary Graphics Drivers in Ubuntu, Fedora, and Mint Most of the time, you'll be fine with open-source software on Linux. But if you want real gaming and graphical power, you'll need proprietary drivers. Here's how to get them. Read More , Wayland probably won’t work for you. This is related to the compositing problem above. To make the process work, your graphics driver must talk to Wayland compositors in a certain way. Intel and AMD graphics cards Should You Use AMD or NVIDIA GPUs on Linux? Should You Use AMD or NVIDIA GPUs on Linux? Looking for a fast graphics card? You have two main options: AMD and Nvidia. But getting the most from them with Linux drivers can be challenging. Should you choose proprietary drivers or open source? Read More don’t have this problem, since they use the expected standard, called GBM (Generic Buffer Management). Nvidia believes that their way of speaking to Wayland, called EGLStreams, is better, and as such sticks to that instead. This problem can be solved in two ways: Nvidia drivers implement GBM, or Wayland compositors implement EGLStreams. Currently, Nvidia seems uninterested in pursuing the former solution, so it’s up to desktop environments to solve the problem. GNOME for example works fine. However, many other desktops The Best Lean Linux Desktop Environment: LXDE Vs Xfce Vs MATE The Best Lean Linux Desktop Environment: LXDE Vs Xfce Vs MATE On a fresh Linux installation, there's not much you can do to speed things up, other than look at your choice of desktop environment. Here we look at three options: LXDE, Xfce, and MATE. Read More remain unusable. All this being said, if you want a good experience on Wayland, Fedora is your best choice. Despite being usable, display servers using it are still rather cutting edge 5 Linux Operating Systems That Offer Bleeding Edge Updates 5 Linux Operating Systems That Offer Bleeding Edge Updates A system that's always improving and updating has its benefits, e.g. gains in speed and security. If you're ready to try bleeding edge Linux, here are some operating systems to consider. Read More , so any support is good to have. Fedora is known for using the latest technologies the Linux desktop has to offer, while also being quite usable. It makes it a perfect fit for Wayland, which still has some issues to work through. 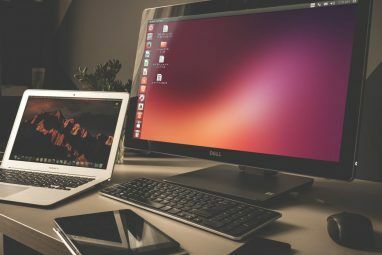 Since it runs the latest GNOME desktop GNOME Explained: A Look at One of Linux's Most Popular Desktops GNOME Explained: A Look at One of Linux's Most Popular Desktops You're interested in Linux, and you've come across "GNOME", an acronym for GNU Network Object Model Environment. GNOME is one of the most popular open source interfaces, but what does that mean? Read More by default, you won’t have to worry about things like your Nvidia graphics card not working. Plus, all applications for it are written in GTK+ 3, which work perfectly with Wayland. And because Fedora is constantly updated, you’ll get improvements to your Wayland experience as soon as possible. All that being said, you might want to stick with Xorg for a little while yet. For the most part, Wayland is designed to make development easier — benefits for end users come afterwards, when that development pays off. And at this point in time, there’s a way to go before that. Have you tried Wayland? Can you see how it will prove to be an improvement? Tell us what you think about this important development in the Linux world. I have been testing plasma with wayland on mageia 6. Everything is fine, and the graphics applications seem to run faster and smoother, except that the graphics desktop never comes back out of sleep. It always gives me EDID errors, and the system does not even respond to ctrl-alt-del or ctrl-alt-Fn. The system is still running. You cannot ssh into it and does things, including open graphics on remote screens. It's just the graphics service that's not responding. So I have to revert back to plasma without wayland support. I am using a Radeon graphics card, which doesn't have the nvidia problem. Haven't tried the Gnome with wayland. Maybe should give it a try some time soon. Just wait... we would have much better linux graphical experience in the near future. Why limit oneself to Fedora. There's been a version of KaOS with Wayland since April. Windows is for complete idiots. Stick with it. We Linux users do occasionally have problems, but we have communities that help. Once running, they run for years. Automatically evolving as the need arises. Viva OpenSUSE! Perhaps you're a little mistaken? This article has nothing to do with Windows. It merely talks about some Linux technologies. I think Rod was commenting on another article that was trying to convince users to stick with Windows. It's been some years now that we're being mentionned wayland, but there's still one thing annoying me about it : I still don't know what it brings that X doesn't have (on the contrary, the list of what X has that wayland hasn't seems quite long - and prohibitive). The usual argument I hear in favor of wayland is that X is old. It kind of reminds me of when a company decides to make a v2 of their app because no one knows anymore how the previous one works, and this usually leads to a lot of regressions, feature wide, and many years of hybrid where both versions run concurrently. I would love if someone could point out something exciting about wayland. Screen locking in X11 is insecure. It's just another client that passes input to layers underneath and around. Screen locking in Wayland is secured through a separately privileged process/protocol. Search this: "Why screen lockers on X11 cannot be secure"
Arch or Arch-based (or Arch installer) distros are also a good bet. I run Antergos and have have no Wayland problems that aren't problems with Wayland everywhere. That's right! The reason why I recommended Fedora was because it's known for being very up to date, meaning any further improvements on Wayland would be rolled out as soon as possible. Since Arch and co. are also on the bleeding edge, sometimes even moreso, they also make a lot of sense to use with Wayland. A lot of the reasons for using Fedora can apply to Arch and its derivatives. That being said, I reasoned that Fedora would best support it, since the company behind them, Red Hat, appears to be interested in it, and therefore willing to fund support for it. I use Wayland on Arch with Gnome and I have no problems. I tried it on kde and found it to be very experimental (e.g. Window button resizing or notification fonts).
" if you want a good experience on Wayland, Fedora is your best choice"
Maybe you'll have good Wayland experience but a lousy Linux experience. Fedora has its own quirks and idiosyncracies that people might not like. Besides, quite a few distros have Wayland in their repositories. All one has to do is install it.